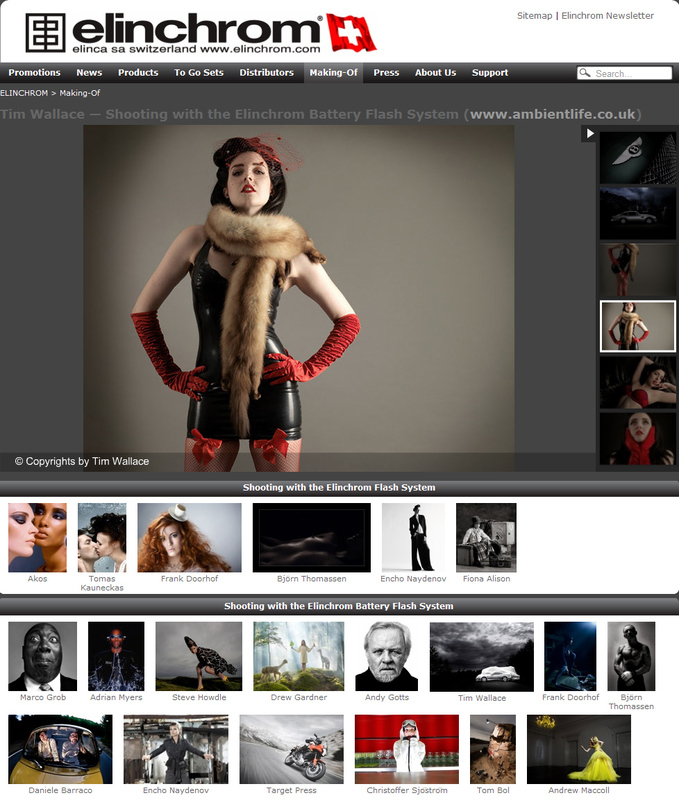 Today saw the launch of a new manifacturer website from Swiss professional lighting gaint, Elinchrom. The company showcase the work of a handful of photographers from around the world to inspire their professional clients and showcase just what can be achieved from using their equipment. We are very proud indeed to announce that Elinchrom have chosen the work of Ambient Life Photographer Tim Wallace to now take up a position as their new professional in their famous Gallery. Today saw the launch of a new manifacturer website from Swiss professional lighting gaint, Elinchrom. The company showcase the work of a handful of photographers from around the world to inspire their professional clients and showcase just what can be achieved from using their equipment. We are very proud indeed to announce that Elinchrom have chosen the work of Ambient Life Photographer Tim Wallace to now take up a position as their new professional in their famous Gallery. Elinca is a hugely respected supplier of professional lighting equipment to many photographers across the globe and supply both field and studio equipment.